Our healthy, hearty dishes are made with local and/or organic ingredients whenever possible. 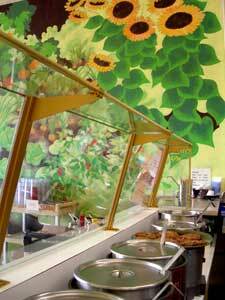 We also offer a variety of vegetarian and vegan dishes. Our specials are different every day—check out @JaphysSoup on Instagram or come by! Soups often sell out—come early for the most choices. Our selection of fresh, homemade soups changes daily. Served by the cup (8 oz.) or by the bowl (16 oz. ), with bread or rice. 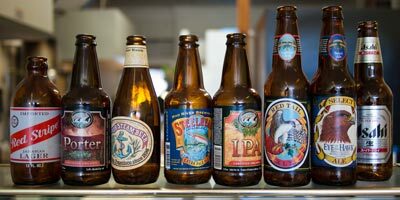 Different every day—call or come by to see what's on the specials board today. And they often sell out, so come early to have the most choices. Add a slice of fresh-baked cornbread to your soup! Authentic Japanese-style. 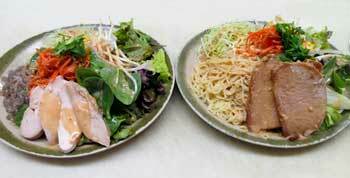 Your choice of noodles in chicken-pork broth. 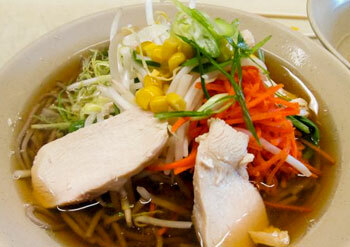 Your choice of noodles in vegetable broth. 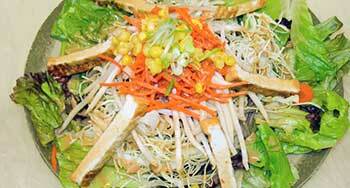 Salad style; comes with lettuce, fresh vegetables, and chicken or tofu with choice of our house dressings. Our specials from around the world change every day—come by or check out @JaphysSoup on Instagram to see what’s on the menu today. 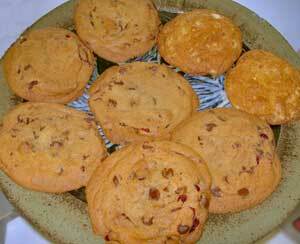 We often have homemade cookies and other treats for your sweet tooth. 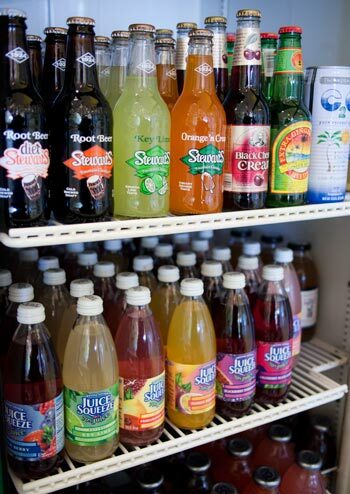 Japhy’s features a variable selection of quality soft drinks and beer (local, domestic, and import) to accompany your meal. *Any substitutions and additions are subject to additional charge.